I am just one of many who have found a way to cure cancer. A radio broadcast told me that T.H.C. (tetrahydracannabinol) kills cancer so I do not claim that it was me who found the cure. 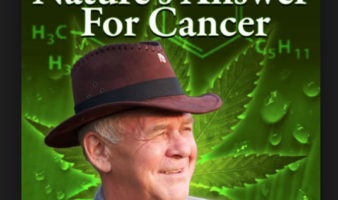 I may be the first to have people ingesting hemp oil and applying it topically to treat their cancers but I do not feel that it was real ly me who found the cure. What I did do was find the proper way to use this wonderful medicine. Click on the link below to read the interview.